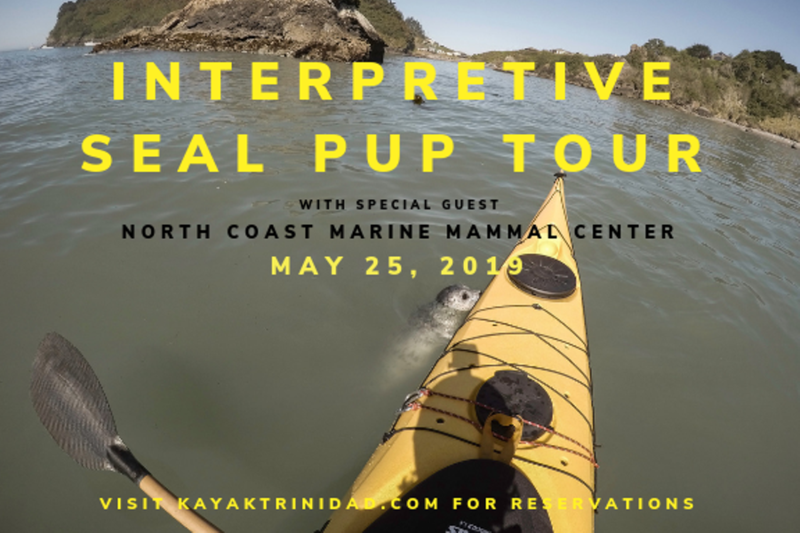 When: Sat., May 25, 9 a.m.-12 p.m.
Join us May 25th, 2019 for a special Seal Pup Interpretive Tour with very special guest experts from the Northcoast Marine Mammal Center. Get ready to be overwhelmed with cuteness as we welcome new born harbor seals to the world while exploring beautiful Trinidad Bay by Kayak. The Northcoast Marine Mammal Center rescues and rehabilitates stranded, sick, and injured marine mammals so they can be released back into the wild. Their mission is to educate the public about the impact humans have on marine mammals and the importance of preserving the oceans where they live. All ages and abilities welcome.